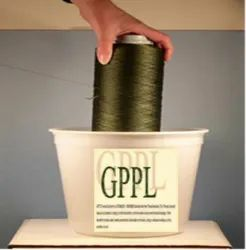 Silicon Thread Lubricants - GPTL 3 is a 100 percent lubricant comprising of special combination of silicone fluids at room. Produced by developing quality-tested chemicals under the strict supervision of our skilled pharmacists and biotechnologists, these products are in compliance with the intentional quality standards. In addition, we offer customization services and on-time product delivery for our esteemed clients.